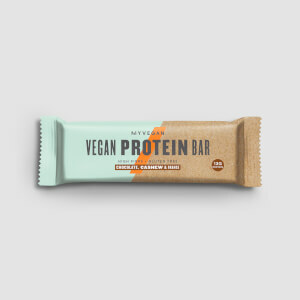 MyProtein have offered great plant-based protein bars for ages now, but tasty as they are, I've had to use them sparingly as often the active carbs per bar would be far above what I'd normally consider consuming. Making my own was the solution. However, an upcoming 3 week holiday would make this very tricky as homemade bars don't keep so well out of the fridge! So these have appeared at a very good time. I ordered the peanut butter and salted chocolate versions. Both taste great and are light in texture instead of being chewy and claggy like a lot of protein bars. My one quibble is the slightly dry, powdery mouth feel. Adding some more fat to the recipe would improve this (and be of benefit to keto vegans, or regular keto-eaters who want some variety in the protein department). A layer of nut butter or coconut butter/cream would be amazing. 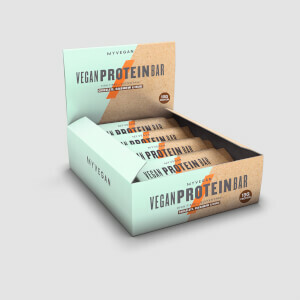 Fair play to MyProtein who spotted a gap in the market for a plant-based low sugar bar for the UK and Ireland. This will be a regular order for me. The best vegan protein bar on the market hands down (and I've tried a lot). Outstanding all round. 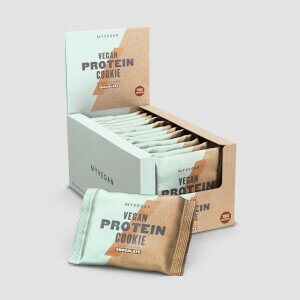 It's the best tasting vegan protein bar I've come across and has by far the best nutritional information in terms of low sugar and high protein. Amazing - defied my expectations! Upon buying the chocolate seasalt vegan bars, I had set the bar pretty low in terms of taste, texture etc. but I'm pleasantly surprised!! The bar itself has such a rich, soft texture and makes for a perfect treat to satisfy a sweet tooth. I have been waiting for a tasty vegan carb crusher for a longgg time and this has impressed... Tasty. Easy to digest. Good macros. Great texture. Satisfies the sweet tooth. All in all, a fab snack!